PHILADELPHIA (WPVI) -- Ice cream bars sold at many local supermarkets are being recalled because they could be contaminated with listeria. The ice cream bars are sold at several local stores including Giant Food Stores, Aldi, Shop Rite, Acme, BJ's and Dollar Tree. 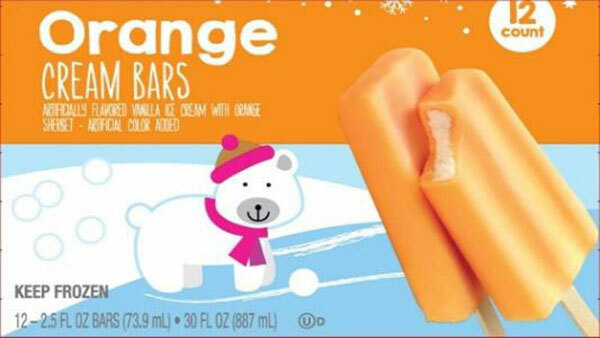 The recall includes store brand Ice Cream Bars, Orange Cream Bars and Raspberry Cream Bars distributed by Fieldbrook Foods Corporation from Dunkirk, New York. All of the items have best by dates between January 1st, 2018 to December 31st 2018. So far, there have been no reports of illnesses. If you have any of these products, throw them out immediately or return them to the store for a full refund.